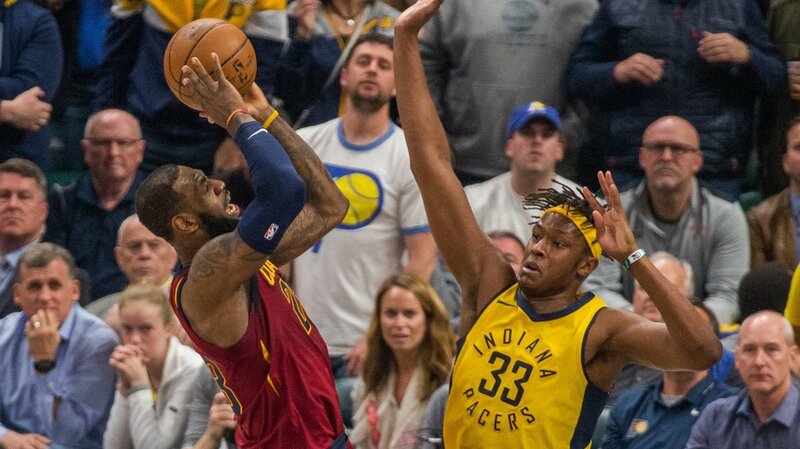 Few, if any outside of Indiana, thought the Pacers had an honest shot at beating the Cleveland Cavaliers in a best of seven series. But then they went and blew the Cavs out in Cleveland in Game One. Since then, each game has been exactly what NBA fans want—close, hard-fought, entertaining games. Game Four Sunday night certainly fit the bill. The game went back and forth for much of the first quarter but saw Cleveland take command towards the end. As the second quarter got underway, the Cavs held a 30-24 lead. That advantage quickly turned into a 49-33 lead about midway through the quarter. But the Pacers were able to make it look a little better with a 10-2 to end the half and make the score 60-50 at the break. Whatever Pacers head coach Nate McMillan said at halftime worked. Indiana started out in the third quarter where they left off. A 10-2 run pulled Indiana within a basket, 62-60, barely three minutes into the second half. They were still down by two when the fourth quarter began. For the duration of the fourth quarter, the game was an all-out slugfest. Neither team was making anything easy on the other. The lead was traded back and forth several times and saw Indiana ahead, 93-91, with 4:28 to play. 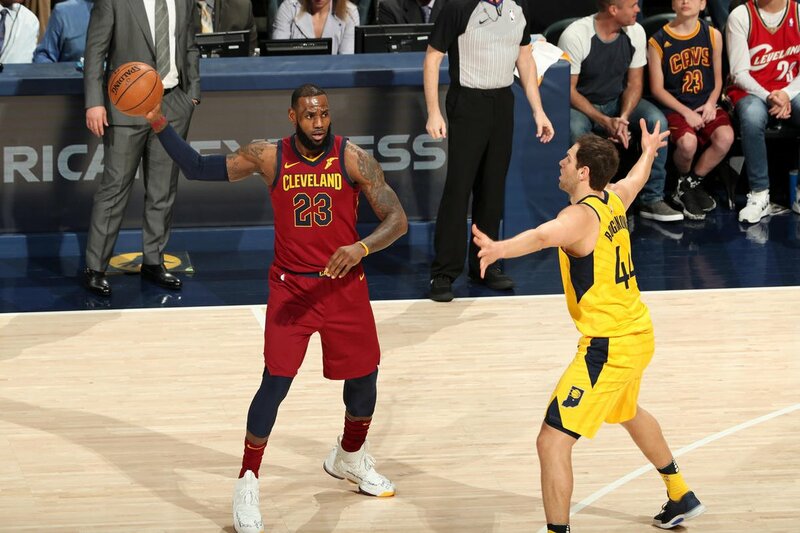 At that point, LeBron James and Kyle Korver enforced their will upon the game. The duo went on a 10-2 run over the next couple minutes that gave the Cavs a 101-95 advantage with 1:52 to play. Victor Oladipo pulled the Pacers within three points, 103-100, with a late three-pointer. But Indiana ultimately fell, 104-100. As usual, LeBron James led the way for the Cavaliers with 32 points, 13 rebounds, and seven assists. Kyle Korver added 18 and J.R. Smith chipped in 12. Jordan Clarkson added 12 off the bench. Domantis Sabonis led the charge for the Pacers with 19 points off the bench followed by Myles Turner and Victor Oladipo with 17 points each. Seven of the nine players that logged minutes for the Pacers scored in double-figures. Oladipo struggled once again with his shot hitting just five of 20 attempts from the floor. He was 5-15 from the floor in Game Three. With the series now tied at 2-2, the Cavaliers can gain control with a win Wednesday night in Game Five when the series moves back to Cleveland. They’ll need to get connected if they are going to win Game Five.